Whatever Your Budget Securelux Have You Covered! Want a more affordable option for Securing Your Home? We offer optional weekly payment plans across different terms to make securing your home affordable instead of paying upfront. Whatever your budget Securelux has you and your family covered with payment plans that start from just $19.95 a week for a Crimsafe door! Why Choose A Payment Plan? Security is a big investment for your home and one you want to get right the first time. Using a payment plan allows you to get your installation done now and pay in small weekly repayments over an Interest Free* period of time. installation” and keep your money available for other projects or your next holiday. Save on interest accrued with Interest Free* Periods ranging from 6 months to 3 years. Who Would Benefit from a Payment Plan? Typically our payment plan can service an extremely broad target market but below are some of our regular types of customers. 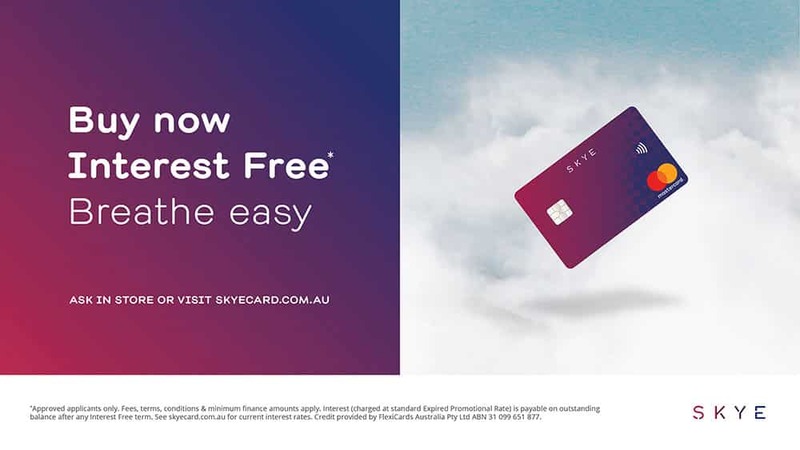 SKYE is an Australian owned and operated finance company that provides Australians with an alternate payment solution. SKYE is a subsidiary of Flexigroup who were established in 1988 and have been offering payment solutions to customers ever since. Applying for our payment plan is simple. After you have received your quote our product specialist will organise for one of our friendly staff to assist you with the application form. Alternatively you can click “Apply Now” at the top of this page and start the application process now. Some Retailers you might know who utilise SKYE? Below you can read through some of our customer experiences where payment plans have made securing their home easier! We had no protection on the front of our home and were worried that we were exposed to danger whenever someone was knocking at our door. After getting 2 quotes we became aware that to secure the front door it was going to cost us around the $1,000-$1,100 mark. When Securelux suggested that we could put this on a payment plan for $19.99 per week we signed on the spot. Now we feel extremely comfortable in our home and haven’t had to feel any financial hardship. We were concerned with our home security after we found out our neighbour had experienced a breakin. We had 2 doors and 3 windows that were our particular focus as the rest of the house at least had some security on it. After getting a few quotes we realised we were up for around $3,529. Securelux had a great presentation and showed us exactly what we were getting for our money. When they said we could put the security on a payment plan it definitely got us listening. The consultant said all you need to pay today is $352. Than $40.73 per week on an 18 month payment plan.